Outside Lee Hall, there is a lonely stone bench off to the side, away from the fervent excitement of conversation and the breathtaking view of the faded mountains from the patio. What’s the big deal; it’s just a bench, right? Further investigation reveals a dedication, as well as two symbols, one on the front, one on the back. The symbol on the front is easily recognizable as the Spirit, Mind, and Body triangle logo of the YMCA. The other one poses more of a challenge. 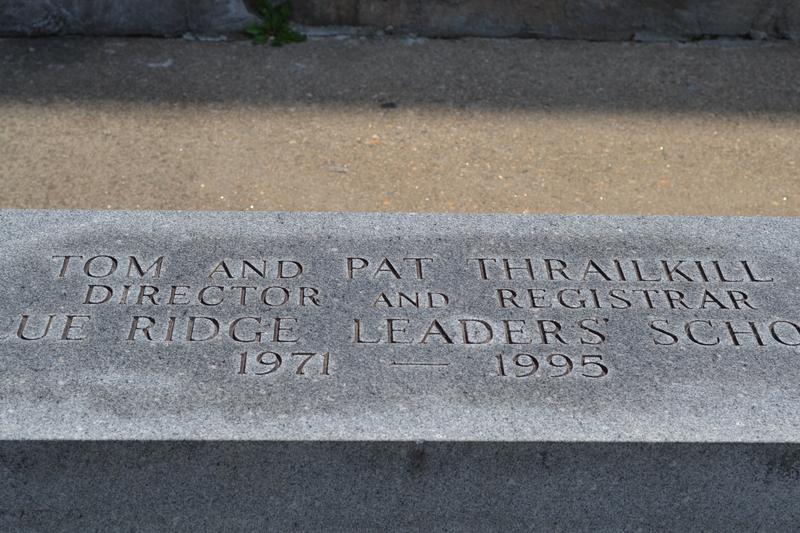 The dedication reads: “Tom and Pat Thrailkill, Director and Registrar, Blue Ridge Leaders’ School, 1971-1995” What’s Leaders School you ask? Not unlike Youth in Government, Leaders Club is a program sponsored and run by the YMCA. While Youth in Government is designed to interest and educate young minds regarding politics, Leaders club has a similar goal by teaching teenagers about volunteering and giving back to society. To explain what Leaders School is, think of it like this: CONA is thought to be the pinnacle of the YIG program, an extra step for those who truly love being in the program, and so is Leaders School for the Leaders club. The first symbol, though obvious as to what it is, actually stands for much more than most people realize. In the background are what appear to be the capital letters P and X, but they are actually the Greek letters Chi and Rho, which when combined, stand as a universal symbol of Christianity. The red triangle with the words Spirit, Mind, and Body on the three sides shows the mission of the YMCA, to build a healthy mind, body, and spirit for all. The bible in the middle, opened to John 17:21, serves a dual purpose. The actual passage reads as follows; “that they may all be one; even as You, Father, are in Me and I in You, that they also may be in Us, so that the world may believe that You sent Me.” The fact that the bible is central in the emblem shows how religion is central in the lives of its followers. The smaller ring represents friendship and love without end among individuals. 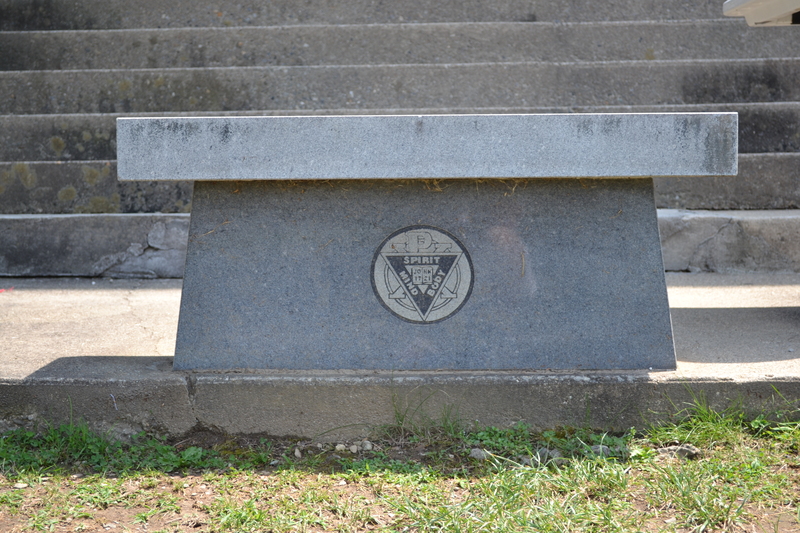 The second symbol, the Leaders club insignia, keeps the red triangle, showing it has the same core values of the YMCA, while adding a free-form design to compliment the triangle. The insignia represents the ability to think outside the box and use teamwork to solve problems. To think that two programs run by YMCA would be lodged in the same spot seems like an odd coincidence, but is it really? Thinking back, both essentially have the same goals, to promote a feeling of kinship and acceptance between all age groups, to better educate the next generation, and to overall help the next generation become better people. Even with all the strife and hardships we see in the world, we can take solace and keep our hope so long as there are other kids in these programs who want to make a difference and change the world around them for the better.